Celebrated for his warm tone, soaring lyricism and masterful technique, American musician, Dmitri Matheny will perform at the Center during our FREE summer concert series on August 16th at 7:30pm. 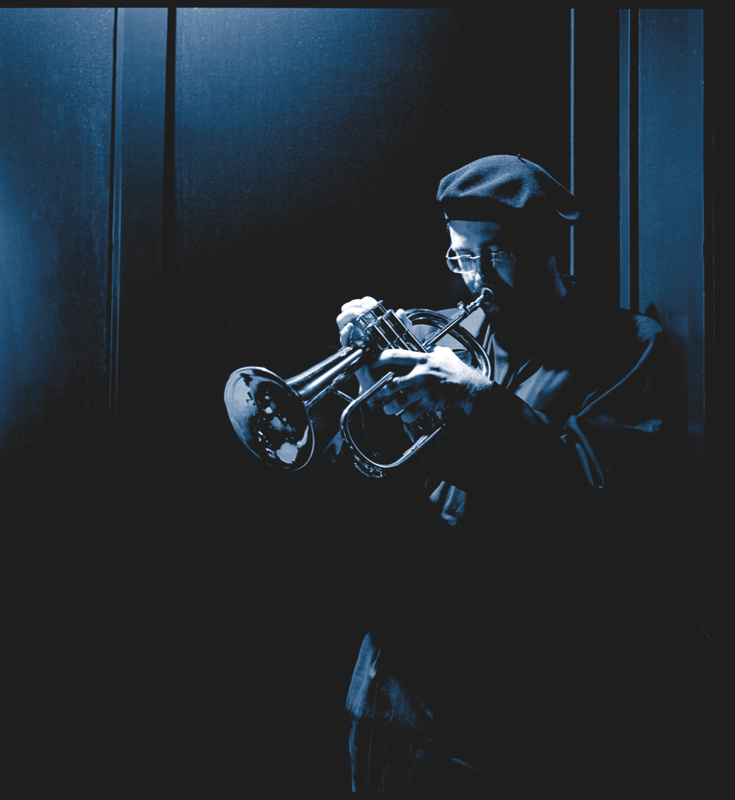 Completely fascinated by Dmitri’s history and his love of the unique flugelhorn instrument, we couldn’t help but interview him to learn more. CHANDLER CENTER FOR THE ARTS (CCA): When did you start playing the flugelhorn? DMITRI MATHENY: I started on piano at age 5, switched to trumpet at age 9, and began playing flugelhorn in my teens. I credit my father and his hip record collection for kindling my childhood interest in music. There was great music on our turntable all the time, from Rachmaninoff to Ray Charles. After awhile I started to notice that many of my favorite musicians — people like Miles Davis, Chet Baker and Art Farmer (who later became my teacher) — were trumpet and flugelhorn players. I especially loved the flugel for its warm, lyrical sound. CCA: How many instruments do you play? MATHENY: As a composer, I’ve learned to play several instruments just a little, but the only instrument I play professionally is the flugelhorn. That’s my voice. CCA: For our audience, who may not be familiar with this type of Jazz, what can they expect to experience at the concert? MATHENY: This is going to be a very special concert. 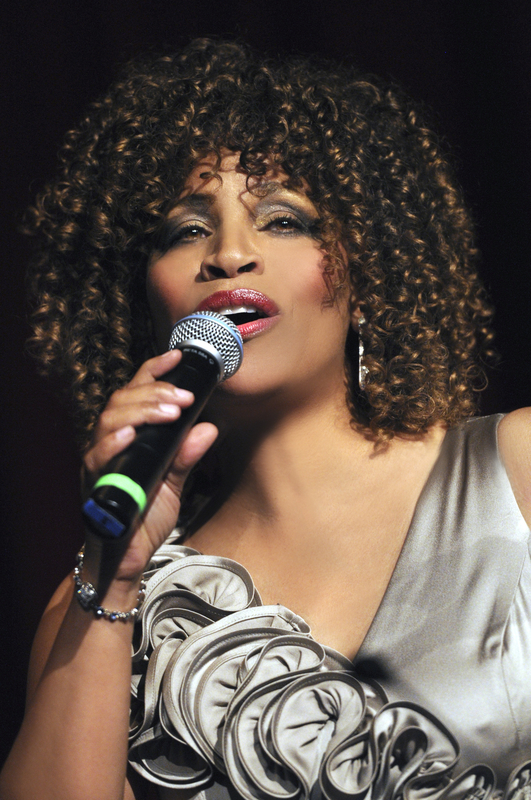 We’re featuring Clairdee, a wonderful vocalist from San Francisco who sings the Great American Songbook in the tradition of Ella Fitzgerald and Sarah Vaughan. Our concert will showcase the golden era of the American movie musical and the leading songwriters of Broadway. The program will be a hit parade of American popular songs as seen and heard in some of the most beloved films and shows ever made. The very best of George Gershwin, Irving Berlin, Jerome Kern, Lorenz Hart, Richard Rodgers, Oscar Hammerstein II, Cole Porter, Harold Arlen, and more. The audience will witness some exciting improvised solos, of course. They’ll tap their feet and feel the rhythm. But it’s the familiar melodies that will seduce and delight them. CCA: We noted you have traveled to 19 countries. Do you have any fun “on the road” stories? MATHENY: So many memories! In Azerbaijan, on the Caspian Sea, people spread caviar on their toast at breakfast like it’s no big deal. I brought home a peanut butter-sized jar of Beluga! Barbados is home to flying fish, spectacular sunsets and some of the most beautiful women I’ve ever seen. The Netherlands is a tiny country (less than twice the size of New Jersey), but there are dozens upon dozens of music venues. Nearly every village has a beautiful theater or jazz club in which to perform. CCA: As an advocate for jazz, what is the best way to keep jazz alive for our future generations? MATHENY: For musicians, mentorship is key. Although formal jazz education is thriving at colleges and conservatories, there are many things about this art form that can only be learned one-on-one from a master musician. For music lovers, nothing compares to the thrill of attending a live performance. Why stay home and watch amateurs audition on TV shows like American Idol, when you can go out and be entertained by seasoned professionals in your own community? CCA: Anything else you may want our Chandler audience to know? MATHENY: As performing musicians, we make our living on the road, playing all kinds of venues, from intimate nightclubs to elegant recital halls to big, outdoor festivals. The Chandler Center for the Arts rivals the best of these in terms of sound, sight-lines and ambience. The acoustics are stellar — every bit as good as they are at Carnegie Hall. As a Chandler resident, I’m proud to have a theater of this caliber where I live, and I’m delighted to be performing there with such a terrific band. This show offers residents and visitors to the area the opportunity to experience the Great American Songbook — live — in a world class concert hall, right here in the Valley of the Sun. And you sure can’t beat the ticket price! See Dmitri Matheny Group featuring Clairdee live at Chandler Center for the Arts on Friday, August 16, 2013 at 7:30pm. No tickets required, the show is FREE. All seating is first come, first served. Doors open at 6:30pm, and seating starts at 7pm. Suggested donations: $5/person, $10/family. Your financial support is appreciated.